Due to his persistent guard-marking, Trott's well equipped to have a good scratch at the bottom of the barrel. Riki Wessels done by one that kept low, I believe. Perfectionists among you can hunt out the replays. Anyway, it is four for Ed Bernard, and a duck for Wessels. Wantage Road doesn't do boring cricket. Case in point: this afternoon. Sussex haven't bowled well – at all – but openers Rob Newton and Ben Duckett picked them apart for 91 before the first wicket fell to Davif Wiese, who has been the best of a bad bunch. In the same over, Alex Wakely pushed to cover and set off for a single that Duckett hadn't noticed. Angus Robson, fielding at point, ran around to do the fielding and hurled at the stumps when he should have lobbed to the keeper. Next ball, Duckett edged through Chris Nash at second slip to take him to 59. It's been a measure innings from Duckett. His half-century, off 70 balls, featured a few crashing drives but a lot of finesse down the ground, especially off Chris Jordan, who was removed from the Wantage Road End after Duckett took 10 off his fifth over. 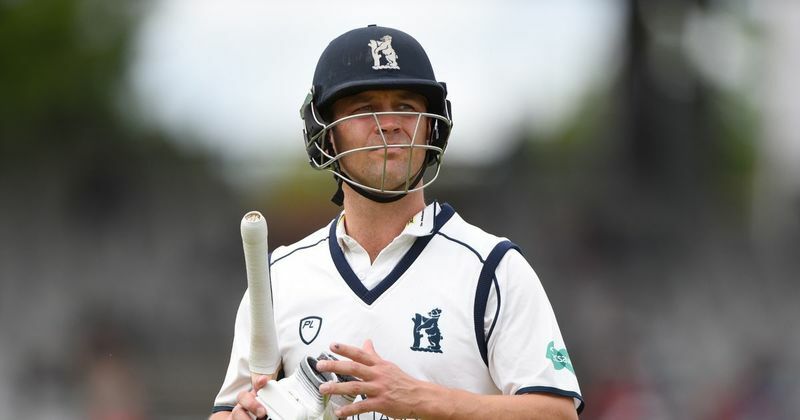 That good fortune soon after his third fifty of the season has been the only real chance he's offered – he also cashed in on a five via a direct hit from Jofra Archer that raced away to the boundary. The issue may be at the other end, where Alex Wakely has departed, out hooking (again) and Richard Levi is struggling to get going. Trent Bridge has just seen why Ben Cox is regarded down Worcester way as the best keeper in the country - a fabulous low catch to his right, off Ed Bernard, dismissing Samit Patel. That is three wickets for Bernard who is drawing a lot of movement from this Trent Bridge surface. Bernard stands at 3 for 47 in 7.3 overs which encapsulates the pace of the game. Alex Hales has straight driven him in between lots of playing and missing, as well as hauling Jack Shantry for six over square leg: it is a short boundary towards the Trent Bridge Inn, it should count three at most. Duckett back to the grind. Can't see him staying at Northants. for overly long. Was Pujara caught at midwicket by the wicketkeeper!? Notts like to make their runs quickly on Trent Bridge surfaces that are doing it a bit - 79 so far in 18.1 overs, although Jake Libby has just fallen, courtesy of a combo catch with wicketkeeper Ben Cox knocking the ball onto second slip Daryl Mitchell, Ed Barnards the successful bowler. Notts' batsmen have looked comparatively secure so far with Chesteshwar Pujara 28 not out. At least it looks relatively dry for the tests at the moment?